Here are a couple more MDS Halloween cards I designed. 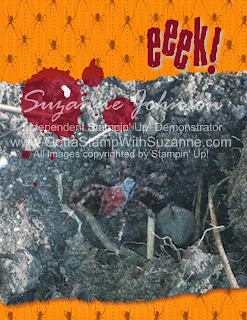 I just did the one with the photo today after seeing that photo of a spider a friend posted on Facebook. Anyone know anything about that type of spider? She thinks it bit her! 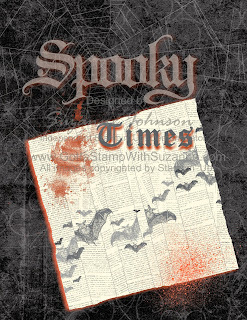 It is such a cool picture I had to use it on a Halloween card. More fun with the Witches' Brew DSP! 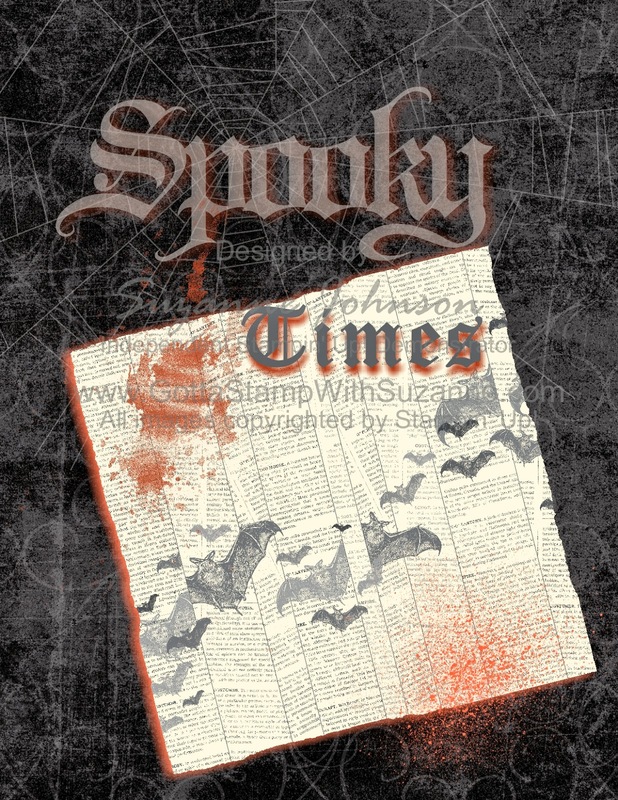 "Spooky" is a stampbrush image, and "Times" I typed as text with a similar font. 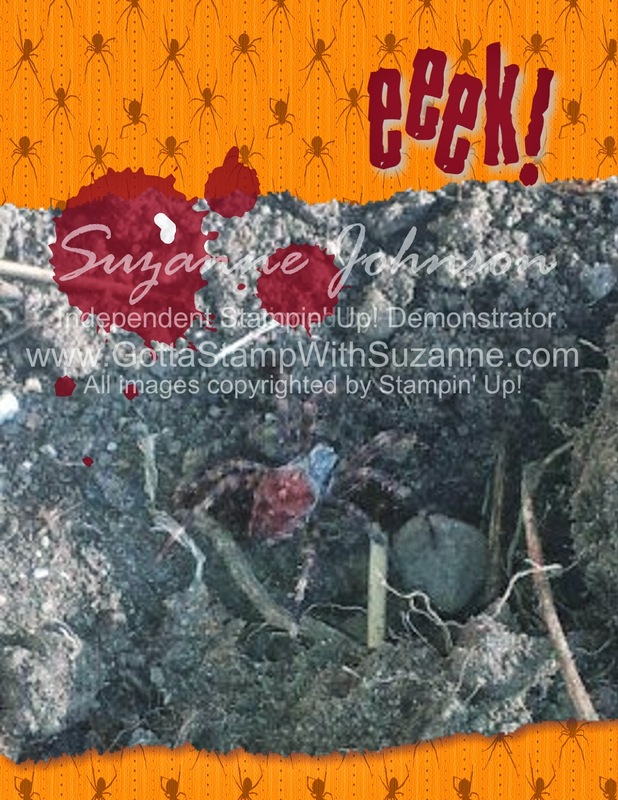 The bats are part of the DSP, but the splatters and spider web are stamps. The background is Night and Day DSP.